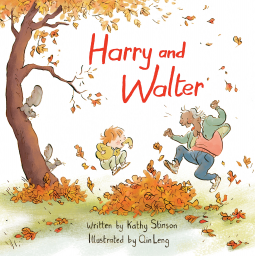 This sweet book tells the story of Harry, four and three-quarters years old, and Walter, ninety-two and a half, who are neighbors and best friends despite the difference in their ages. They enjoy being together, playing, mowing the lawn, taking care of Walter's vegetable garden, raking leaves, making snowmen. But one day Harry has to move away from the neighborhood. Harry cried. "Things change", Walter explained. A tattle-tell tale. A story about getting help. Joseph had a terrible week at school. A seven grader has been bulling him every day at lunch time. He took Joseph's brownie on Monday, and his sandwich and cookies on Tuesday. He found Joseph hiding in the boy's restroom on Wednesday and took his lunch again. On Thursday Joseph ate his lunch in the schoolyard. He even tried to explain his problem to the yard-duty teacher, but it didn't work. She was too busy solving other problems there. His friends would like to help Joseph, but they are scared too. Now he is standing at the principal's office door. He knows he must do something to stop being bullied, and Mr. Tate has told the students many times that they could come to him anytime. He finally knocks at the door and tells Mr. Tate the whole story. He is afraid of being in more trouble since he tattled, but Mr. Tate explains to him the difference between tattle and tell, and helps him to fix the situation. Once again a difficult topic has an excellent approach in this series. The situation is clearly explained, specially how Joseph feels and how difficult could seem to ask for help, but how everything starts moving in the right direction once he shares his problems with someone who can help him. At the end of the book there's a guide for grown ups with tips on how to help kids feeling comfortable asking for help. Another great titles in this series: The uh-oh feeling. A story about touch and Sign up here. A story about friendship. Funny story about Marin, a friendly boy who is decided to find the thief who has stolen his favorites sandwiches form his lunch box in the last few days. Everybody is a suspect: classmates, teachers, janitor, even the principal! A relatable character in a amusing story any middle grader would enjoy. The illustrations are very creative and cartoon-like, in black, white, yellow and orange only. Marin's mom sandwiches made me very hungry! 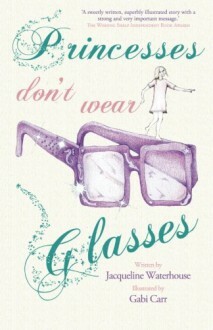 I received an uncorrected copy from the publisher via NetGalley in exchange for an honest review.